Former Fifa official Luis Chiriboga has been banned from football for life after being found to have taken bribes to award media and marketing contracts. Chiriboga took illegal payments in exchange for rights connected to the Copa America and Copa Libertadores. The 72-year-old, who served as president of the Ecuadorian Football Association, has also been fined one million Swiss francs (£770,000). US authorities charged Chiriboga and several other Fifa officials in 2015. 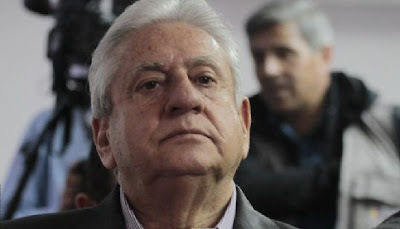 He was sentenced to 10 years in Quito on corruption charges in 2016. Former Guatemalan Football Association president Rafael Salguero, another of those investigated by the Department of Justice on alleged corruption, was given a seven-year ban last week. Corruption everywhere. Good of you!